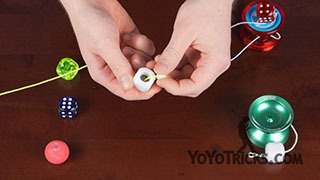 How to do Electric Fan Combos in Freehand yoyo play. 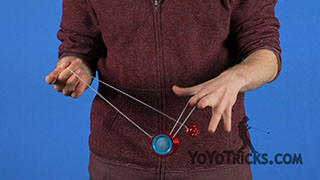 Electric Fan Combo Yoyo TrickThis trick is called Electric Fan Combo or E-Fan Combo for short and it looks like this. So this trick teaches you to properly catch, hold and swing a Counterweight for the Electric Fan Trick, but these concepts also apply heavily to other 5a so this trick is really important. So to learn it, first you need to know how to do a 360. 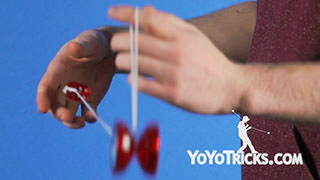 We have a video on that if you are not quite sure how. 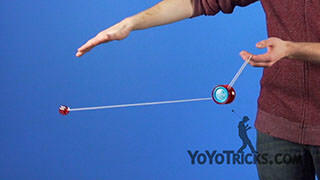 Instead of catching the counterweight with your hand facing in like this like we taught in the 360 video. 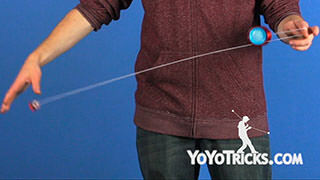 Instead you are going to keep your palm out and catch the string about six inches away from the counterweight with your palm facing outward. 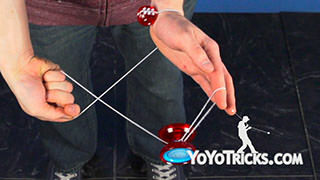 You really want the string to land on all four fingers. 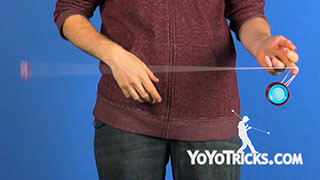 Once it is in all four fingers and you want to close them around and you want to make sure the bottom string is coming out right from your pinky, that is really important. 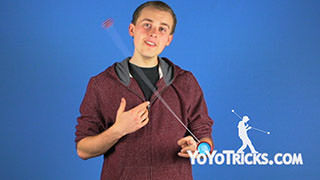 Then you want to look at your pointer finger and you want the counterweight string to be hanging off the middle segment of your pointer, then you want to pinch down right on that middle segment with your thumb. 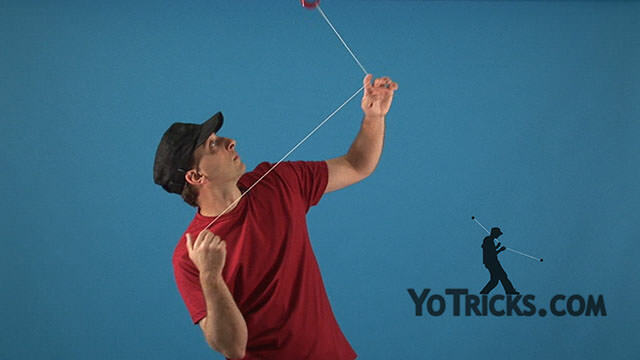 Once you have learned how to properly hold the counterweight string, now you need to learn how to properly transfer the momentum from the 360 into the E-Fan. 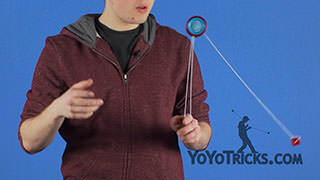 So to do that, right after you catch the counterweight string off the 360 you want to make one slightly bigger circle with your throwhand and that is going to put the counterweight into the proper alignment. So once you have the counterweight spinning you just want to take a second and make sure everything is lined up. So first you want to make sure that your thumb and your forearm are perfectly lined up, that just gives you the most space to work with. Then you also want to make sure that your opposite pointer finger and the back of your hand is lined up, so not the front of your hand. 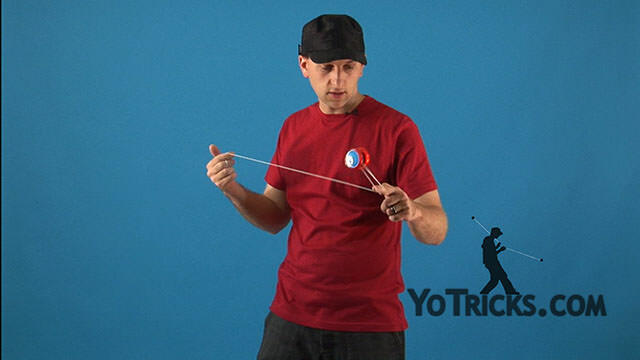 if you keep the front of your hands lined up then the yoyo is going to turn and you are going to hit the yoyo with the counterweight. 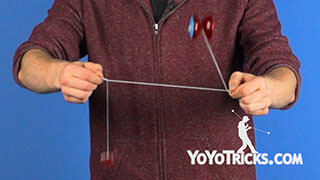 If you are hitting the yoyo with the counterweight, you just want to make sure the counterweight plane is perfectly perpendicular to the ground and also perfectly parallel to the trapeze. 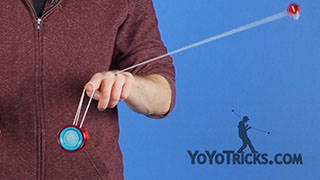 Once you have the counterweight spinning and everything all lined up, now it is time to start thinking about what you are going to do with the yoyo. The sequence that we are teaching we feel like just gives a good overview, so what you do is start in a trapeze, then go into a Double On Trapeze, hop off, stick out your middle finger, go into an Under mount, Double on Under mount, go out twice back into a Trapeze and then perform an Eli Hop. 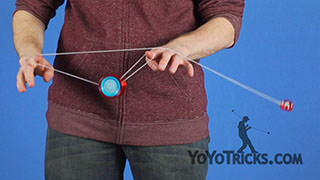 If you are having a hard time doing this, it is really important to remember to keep your throwhand really rock solid and keep it just where it is and you only want to be able to control the yoyo through your opposite hand motions. 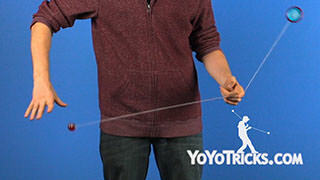 Of course you can add other variations into this trick such as chopsticks or whatever you want to do. 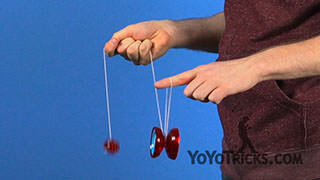 So once you are done with the E-Fan combo what you want to do is stop swing the counterweight so hard, pinch this Trapeze, and then pull your throwhand out and the counterweight is going to come back to your hand and that is E-Fan Combo.